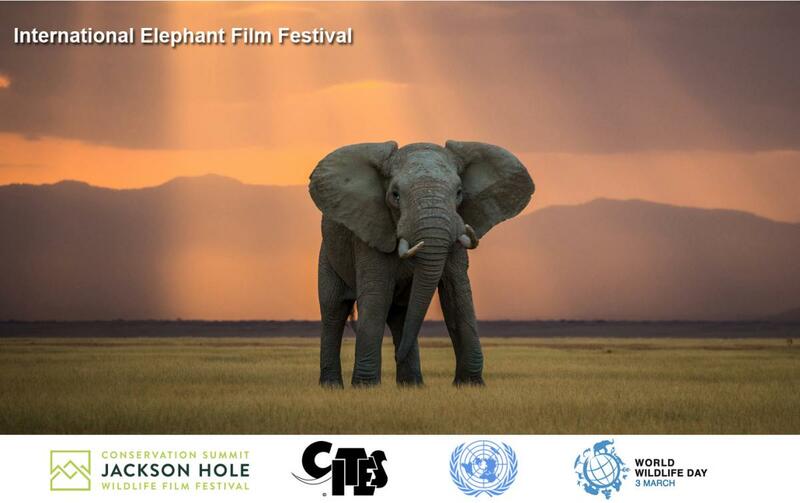 Geneva/Jackson, WY/New York 4 March 2016 - The Jackson Hole Wildlife Film Festival and the Secretariat of the Convention on International Trade in Endangered Species of Wild Fauna and Flora (CITES) teamed up in organizing an International Elephant Film Festival to raise global awareness of the various challenges facing the African and Asian elephants, as a highlight of UN World Wildlife Day on 3 March. The Festival received more than 250 entries into the film competition, which were reviewed by over 75 preliminary judges over six weeks before the short list was passed on to the final judging panel. "These films connect us in a very personal way to wildlife, observed John E. Scanlon, Secretary General of CITES.” They inspire us all to make sure these magnificent animals survive in the wild. Congratulations to all of the finalists and category winners, and thank you for making this such a memorable World Wildlife Day." 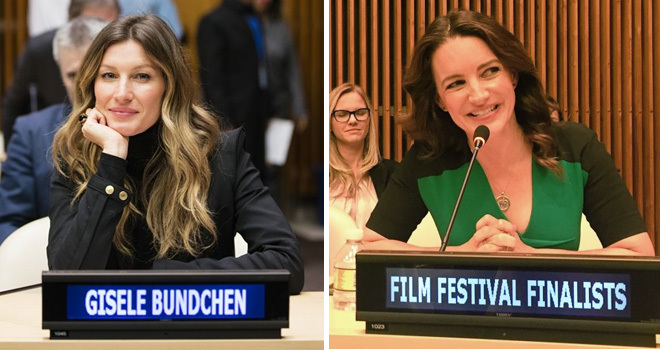 The high-level celebration at UN Headquarters attracted international diplomats and policy-makers as well as conservation, NGO & business partners and filmmakers and included UNEP Goodwill Ambassador/model Gisele Bündchen and Actress/Producer Kristin Davis, whose film Gardeners of Eden won the Elephant Hero category. Winners were announced at a high level event marking the global celebration of World Wildlife Day at UN Headquarters in New York on 3 March 2016. Winning and finalist films will be showcased extensively throughout the world, through local screening events and broadcasts. Samford drew particular attention to the decades-long anthology documenting Echo, the matriarch of Amboseli and her family, noting that the researchers who studied this herd and the filmmakers who told their story forever changed how the world would see wild African elephants. Click here to view a video recording of the event. See also photos from the event. Jackson Hole Wildlife Film Festival’s(JHWFF’s) programs promote public awareness and stewardship of wildlife and wildlife habitat through the innovative use of media.Since 1991, its annual conferences draw togetherinternational leaders in science, conservation, broadcasting and media. For three days this year, committed elephant advocates convened for the Jackson Hole Conservation Summit: Elephants to share resources and strategies, address critical challenges and brainstorm innovative approaches for collaboration. They joined 650+ of the world’s most influential filmmakers and commissioners at the Jackson Hole Wildlife Film Festival to celebrate the world’s finest nature programming and explore innovative ways to integrate media centrally into the battle against global wildlife crime.